We stayed here only because we needed just a cheap 1 night stay to catch the early bus to Yongpyong in the morning from Lotte World. 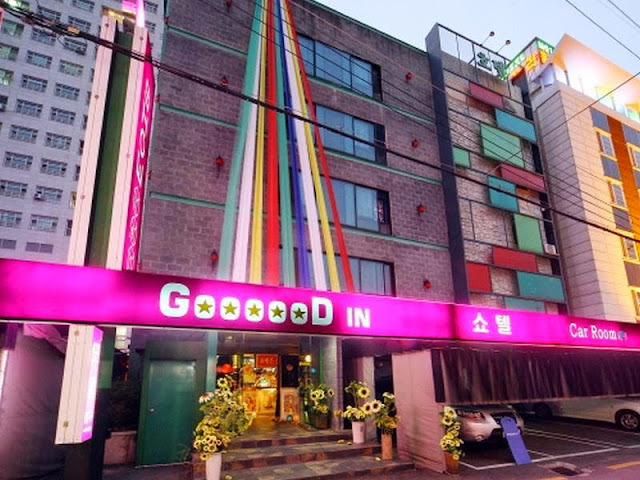 It's more of a love motel and it was about 10-15 min walk to Lotte World (Jamsil). The staff didn't really speak english and our doors couldn't be locked, but he assured us that he could monitor our room from his CCTV when we went out in the day. At night, you could lock it with the door chains inside. The bed was hard to sleep on. We weren't expecting anything fancy for the price we paid. In short, it's cheap and reasonable (for the price) for a one night stay. Hi fellow travel lover! Here is where you can follow us to explore the world, one city at a time! You can use the labels below to help you locate the different cities we have blogged about. Kenneth & Stephanie. Awesome Inc. theme. Powered by Blogger.